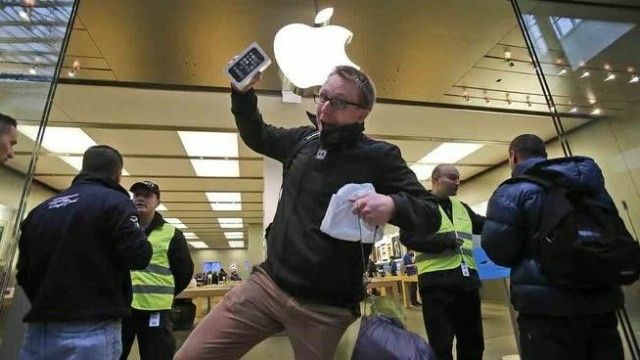 A new survey of 2,000 iPhone users saw 3/5ths of respondents admit to having a “blind loyalty” to the Apple brand. 78% percent claimed they “couldn’t imagine having a different type of phone now,” while 52% said they had been “really impressed” with the iPhone. 54% of people answering the survey had previously owned an iPhone and — when asked why they bought a second — 37% responded that they were used to the iOS interface. A further 28% said the iPhone seemed to be the best phone for them at the time of switching, while 25% said it was due to the fact that friends and family members had iPhones and they wished to retain Apple-specific features such as Facetime. The survey revealed that 17% of respondents had switched to their current iPhone from a BlackBerry, 14% from a Nokia handset, 9% from a Samsung, 4% from an HTC, and just 2% from a Sony Ericsson. 1 in 10 people were using either an iPhone 5c or 5s. While surveys — particularly those conducted using a relatively small sample of respondents — can often be taken with a pinch of salt, if Bholah’s results do indicate larger trends it is further evidence of the favorable (and relatively unique) position Apple occupies as a tech company.